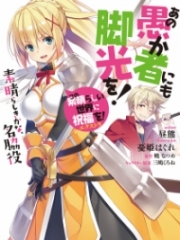 Chapter 15 Is That Beautiful Girl Qian Lin? “Since when does the school have bad guys like you who bully the good people and are scared of the evil ones?” the girl asked sarcastically as she walked. Qianhui was instantly angry. As soon as she was about to speak, she was pulled by Moli next to her. “What are you doing?” Qianhui shouted angrily. Moli frowned and whispered in her ear, “She is Qian Lin! We can not afford to offend her!” Qian Lin? She’s Qian Lin?! Ji Xiaotiao twisted her head. Was this beautiful girl Qian Lin? It was said that she was a redoubtable girl. If you offended her, maybe one day you would find something unknown in your desk as soon as you entered the cla.s.sroom. What’s more, maybe sometime the dean would receive the photos and letters you were discussing about the school hunk. In a word, in Yinghua, if you wanted to discuss the school hunk safely, you’d better avoid Qian Lin and not offend her. She was absolutely a formidable girl. Qianhui and Moli saw Qian Lin was slowly approaching. The two girls stepped back unconsciously. Qian Lin came over and put her hand on the shoulder of Ji Xiaotiao, who was stupefied. When she saw the red fingerprint on Ji Xiaotiao’s pale face, she raised her eyebrows with a little anger. “Hey! Aren’t you a lady from rich family? Where’s your upbringing? Why can you hit people whenever you want? Even if you have a lot of money, you cannot do whatever you want! Come on, you all have to follow me to the student affairs office!” As soon as they heard about going to the student affairs office, Qianhui, Moli, and the pa.s.sers-by who had just surrounded Ji Xiaotiao all retreated. “Ha ha. . . We just came to see what happened. It’s none of our business. We have to go now!” Pa.s.sers-by thoroughly s.h.i.+rked their responsibility. In the blink of an eye, they disappeared. Qianhui and Moli looked at each other and were ready to run away. But Qian Lin was not a fool. She stepped forward and coldly said, “What’s wrong? Are you starting to be scared now? Why aren’t you as arrogant as you were just now?” Moli knew how formidable Qian Lin was, but Qianhui still didn’t know much about it. What’s more, she’d always been arrogant, ever since she was just a child. She could not tolerate being criticized by others. When she was angry, she couldn't take much into account. “Ha! That's funny! I just taught a silly girl a lesson, and it’s none of your business. What right do you have to criticize me here? Qian Lin, let me tell you! Maybe someone else in Yinghua is afraid of you, but I’m not! My father is a shareholder of Yinghua College. Even the headmaster has to respect me. And who are you?” Qianhui talked energetically, and she completely ignored the pulling from Moli. Ji Xiaotiao’s face turned pale. To tell the truth, she was used to being bullied, so she didn’t care at all. But Qian Lin was innocent. She should not get involved for her sake. “Er . . . Qian Lin, you’d better go. I’m fine.” Qian Lin shrugged her shoulders as if she seemed to hear nothing, and suddenly her eyes lit up. She reached out and touched Ji Xiaotiao’s ponytail, which was tied haphazardly on her head. “Wow. . . Your hair looks great. You can just go and advertise for shampoo! Alas, I admire you so much. How can you have such dark and s.h.i.+ny hair? How do you usually maintain your hair? Can you teach me?” . . . When Qian Lin finished these words, Qianhui and Moli were suddenly stunned. Ji Xiaotiao was also a little speechless. They had been cursing for a long time, but she took their words as farts and did not hear a word. What’s more, she was still inexplicably excited to discuss her hair with her. “Qian Lin, you . . . ” Qianhui was completely angry, and her expression was hideous. She had completely lost the elegance she should have had as a girl from a rich family. Click! Qian Lin took out her cell phone from her pocket and took three consecutive photos of Qianhui. At that moment, there were words in her mouth. “Ouch! Look at it.” After pulling Ji Xiaotiao, who had been in a confused mood, Qian Lin pointed to the photos taken in her cell phone. “If I upload these photos to the school forum, or print them out and post them everywhere, wow, the effect would be spectacular, wouldn’t it?” Ji Xiaotiao blinked and nodded vaguely. Qianhui was shocked when she heard the words. She said in alarm, “You . . . you wouldn’t dare!” “You think I wouldn’t? Why don’t we give it a try? How about tomorrow? Tomorrow, I’ll show you exactly how I dare!” Seeing Qian Lin, who was serious and was not kidding, Qianhui suddenly extinguished all her arrogance. She tugged at Moli’s sleeve and asked for help with her eyes. After all, it was Moli who hit people. She settled down and said to Qian Lin, “Yes, it's our fault. Shall we apologize? Qian Lin, a great man rarely stoops to pettiness or harbors grievance for past wrongs; please forgive us.” “Hm!” Qian Lin could only let out a disdainful hum. Now they know they have to give in! Now they know they have to apologize! Why didn’t they say that just now? Ji Xiaotiao watched the two of them, who were soft-spoken and submissive, and could not help feeling sad. Qianhui and Moli were usually self-important and did not take others seriously. It was incredible how they looked now. Like the offensive boy she met at the beginning, everything was so difficult to digest. . . “Er . . . Qian Lin, now that they apologized, forget it. Let’s not post the photos.” Yes! Qianhui and Moli nodded like lackeys. Qian Lin rolled her eyes and wondered why there was such a simple girl in the world like Ji Xiaotiao. Or. . . Well, such a stupid girl! How easy she was to forgive others! Alas . . . as a person who came out to fight against injustice, she was a little angry. “All right. Now that she said that, let's forget it. Please leave now. You can’t bully her anymore; do you understand?” Qianhui and Moli nodded and turned away. Before leaving, Qianhui looked back and hesitated, “Can . . . can you delete those photos?” Qian Lin said lazily, "Don’t worry! I’ll delete them right away.” In spite of saying that, her hand clicked the save b.u.t.ton! Qianhui was a.s.sured, and then she was relieved to leave. Glancing at Ji Xiaotiao, she still stared at her fiercely. But Ji Xiaotiao blinked innocently, and her face was blank. Qian Lin saw the two girls leave, and then she turned her eyes to Ji Xiaotiao. “Well, all the boring people are gone. Let me introduce myself first. My name is Qian Lin. What's your name?” She’d been so focused on righting the injustice that she hadn’t even bothered to wonder the name of the person she was helping until now. “Xiaotiao! Ji Xiaotiao!” the girl answered happily. …… “Er . . . maybe it’s a bit abrupt for me to ask, but I’d like to ask. How . . . how high is your IQ?” Qian Lin did not want to ask; after all, the question was a little hurtful. But she doubted whether the girl named Ji Xiaotiao was really a fool. “It’s 179.99!” Ji Xiaotiao proudly reported a series of numbers. And there was no doubt about the answer from her tone! Qian Lin opened her eyes in some surprise. 179.99! Only less than one percentage point from a genius? But why did she feel that the distance of 0.01 seemed a little long? Why did she feel this girl was basically a simple fool? “Er . . . okay. I’ll go first because I have something to do. If they dare to bully you again in the future, you can come to me.” Qian Lin gave a wink to Ji Xiaotiao, then she smiled and waved as she went on her way. Ji Xiaotiao stood there and laughed happily. Ha ha! She had heard Qian Lin's name in Yinghua for a long time. She thought she was a savage girl who was stalwart and brave. Unexpectedly, she was such a beautiful girl. Thinking of this, she unconsciously reached out and touched her ordinary little face. When touching the left cheek, she took a painful breath. There was a wail in her heart, and her face seemed swollen. Alas . . . she was ugly enough to have been laughed at by the young boy. But now her face was swollen, and she would be laughed at when she went back. Ji Xiaotiao dropped her little head and sighed again. Who did she provoke? . . .
You're Read The Two-Faced Venerate Emperor Chapter 776 online. If you find any errors or translatation mistakes, please let us know so we can fix that as soon as possible. You're reading The Two-Faced Venerate Emperor by Author(s): Unknown. 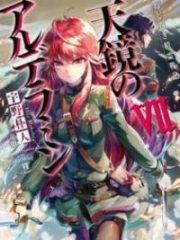 This novel has been translated and updated at LightNovelsOnl.com and has already 94 views. And it would be great if you choose to read and follow your favorite novel on our website. We promise you that we'll bring you the latest novels, a novel list updates everyday and free. LightNovelsOnl.com is a very smart website for reading novels online, friendly on mobile. If you have any questions, please do not hesitate to contact us at [email protected] or just simply leave your comment so we'll know how to make you happy. Current Time is 20-Apr-2019 16:19:11 PM.